Kit includes front & rear leaf springs, polyurethane bushings are in the 4 inch lift only, stock style press in bushings are in the 2.5 inch lift, u-bolts, four Heckethorn 8000 series shocks, and four shock boots. 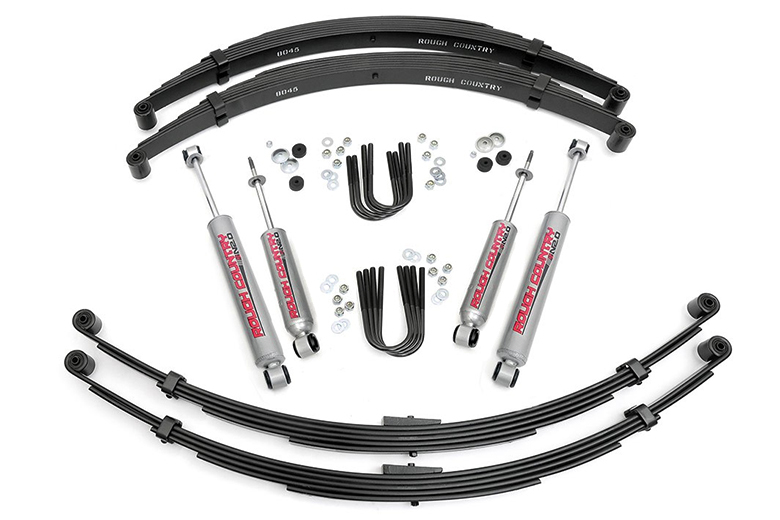 Complete Kit available for either a 2.5-inch or 4-inch lift. For 1971-1980 IH Scout II. Also fits Terra and Traveler. The default shim that this kit comes with is 2.5 degrees. Ask us about our wheel and tire packages!